Pour in the batter (You can do it in two batches if you need to. 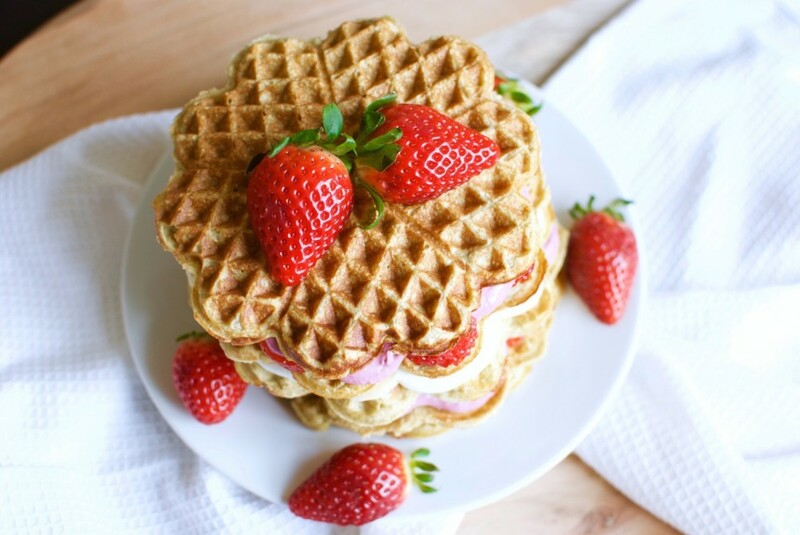 ), and cook in the waffle iron until browned, about 3-4 minutes. 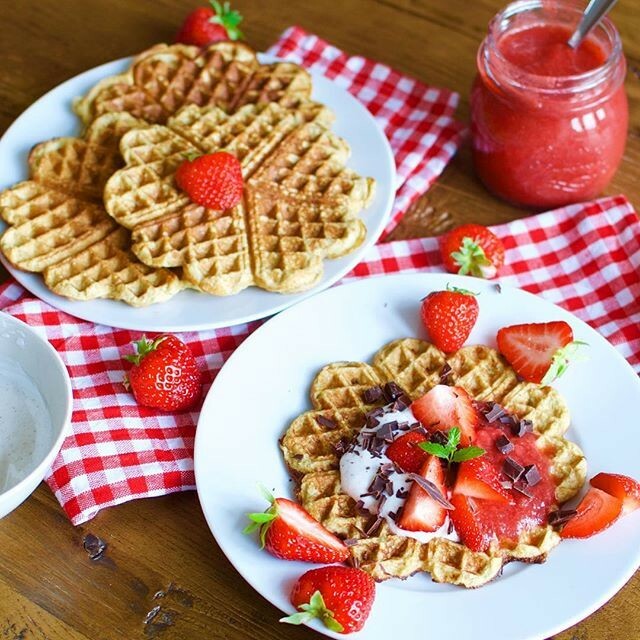 Remove from waffle iron using a spatula and allow to cool a little before adding toppings.